Genesis 950 Concentrate - The Green Cleaner for the entire home. Remove Pet Stains and Odors from carpet & furniture, use as a spot cleaner or a carpet cleaning solution for machines. Use in the bathroom, as a toilet, tub and fixture cleaner as well as clean kitchen appliances. Genesis 950 is a green alternative to hazardous cleaning chemicals around the home. 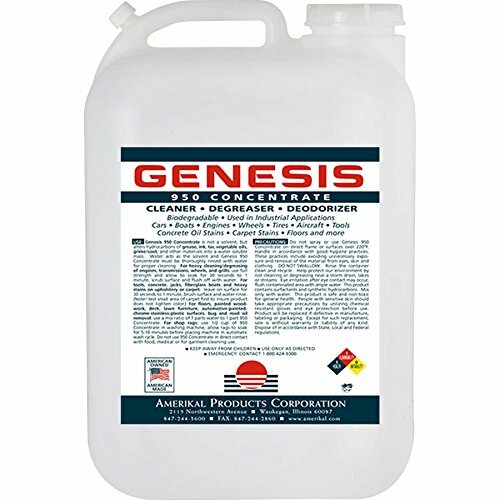 Genesis 950 is a Concentrated Cleaner which can be mixed at a 7:1 ratio with water making 7x more cleaner. For tougher stains, like pet stains, vomit and urine, mix no higher than a 50/50 mix. Instructions are included. If you have any questions about this product by Genesis 950, contact us by completing and submitting the form below. If you are looking for a specif part number, please include it with your message.